Pay per click advertising, or PPC, is a phrase that is thrown around a lot without a clear idea of what it actually is. Put simply, PPC advertising is when an advertiser pays a publisher every time an ad on a web site is clicked. The banner ads you see on web sites are a good example of this. If you’re advertising using traditional channels, you won’t be able to see the results of your efforts. A pay per click campaign lets you see the results. Whether it’s clicks, conversions, or specific metrics, using PPC will let you see the results of your advertising. Google was recently accredited by the Media Rating Council for their ability to measure the viewability of one of their newest products. Pay per click advertising campaigns are popular with many organizations, regardless of size. But for SMBs, they may be reluctant since they already deal with enough when it comes to the day-to-day running of their business. That’s why it’s recommended that you work with a reliable organization that provides pay per click marketing. They will continually optimize your campaign and ensure that it’s always up to date. If you want to stay competitive, you need to invest in pay per click marketing. A successful pay per click campaign can bring in new customers and increase your organization’s profile. With that kind of exposure, you could potentially win back the customers you may have lost to competitors and bring in new ones. It’s an affordable way to maintain your online presence. Ideally, you should aim for ranking your site organically with keywords, words that are related to your business and your location. However, if your web site isn’t ranking on the front page, you can use PPC advertising to target words your business wouldn’t normally rank for. This is just one of the many ways you can use PPC to increase your web site’s exposure. You can increase the exposure your business receives by purchasing keywords related to your business that rank well. This will increase the chance of a click and conversion. It’s simple; the more space you take up for the search results on Google or Bing, the more exposure your business receives. This can include multiple results depending on the keywords you use for your business as well as their placement. A PPC marketing provider can create content that will use these keywords accordingly. The main reason that many SMBs may not embrace pay per click advertising is due to concerns over the cost. If it’s managed well, a successful PPC campaign doesn’t have to cost your business a lot. You could see a substantial return on your investment. According to a 2012 study by Hubspot, PPC advertising is 61% more affordable than traditional marketing streams. As an SMB owner, you need to make your marketing budget work, and this is the best way to do so. A pay per click advertising campaign can provide instant results; it all depends on how well you plan it. This makes it an excellent marketing tool for SMBs since they can target specific customers in their area. PPC has the added bonus of helping with search engine optimization (SEO) which in turn produces long-term results for your business. It can also be updated quickly depending on new trends. One of the biggest advantages of pay per click marketing is that it allows you to target specific customers. It also allows you to find out the intent of their search, the time of day they searched as well as the device they used; a PC or a number of other options. PPC is a rapidly changing platform an expert can keep you up-to-date on. With the right assistance when it comes to a pay per click campaign, you can avoid costly mistakes such as choosing the wrong keyword. This is a method of advertising that requires sticking with it. 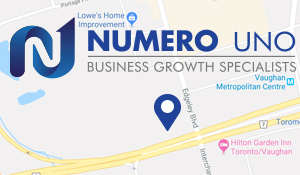 Numero Uno Web Solutions provides SMB customers with industry PPC advertising solutions designed to optimize their search engine results. For more information on offered services, please visit the company web site.